One of the hardest things that I had to face with Lena's death was at the hospital when I asked for a birth certificate for my daughter. The nurse left and came back and told me that since she died in Utero and was born still, she will not get a birth certificate only a death. My head was screaming...SHE WAS ALIVE...DON'T MAKE THIS HARDER. She was born, she just didn't have life in her at that point, but she had it just moments before. As a mom, you never expect to have a pregnancy end in death even though you know it could happen. For healing alone, moms (parents) need to know that their child can be recognized for the short life they did have weather is was outside or inside the womb. Hospitals would do a huge service to parents if they would create something. I don't think anyone is looking for something official that is filled with the state, just the treatment that their child existed and the parents need them to be real to others. My Heart was so grieved. Because she didn't live outside the womb, the state will not recognize her life only her death....you cannot die if you were not alive. This might seem like something small, but for mothers and fathers and families that have lost a precious child, no matter when during the pregnancy, it hurts that their life cannot be recognized. She WAS alive, she had LIFE, she had a purpose....help us recognize our special blessings with something that seems so simple yet is so huge. I have been able to find a site that will make a lovely commemorative certificate for Madilyne (and even for Jordan Rad). I need to have that to put into her memory book. I have memories with her when she was alive and I need to recognize that the time was real and significant. I have seen that there are bills in several states about this very issue and so many others surrounding miscarriage, stillbirth and infant death. Until you are in the throws of such things, you don't always know all the "issues" that surround us. Just a word to those walking through this yourself or with a friend...You need your child to be recognized, talked about, stories shared about the impact they made in your life or others. Ignoring that they existed is cruel and unusual punishment. We cannot promise that tears will not come, but we would rather you talk to us about our babies and we cry, then we cry because you will not acknowledge their existence. SHE WAS ALIVE....GOD HAS A PURPOSE....SHARE WITH US HOW GOD HAS USED HER IN YOUR LIFE. 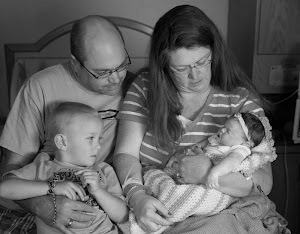 Madilyne Eleahnah Margaret Myers (08.31.2012) and Jordan Rae Shalom Myers (07.20.2011) are very real and are very loved. I am glad you found that website Lynette. Such a geat idea. i am sorry you had to be told that at the hospital...so much needs to change as far as the recognition of human life. Lena's life very much does need to be acknowledged & remembered. And your beautiful girl is more alive now than she had ever been, playing with yours & mine & all the other sweet babies who are with Jesus. Been praying for you every day as you continue to miss your little angel & heal. I followed her short life over Facebook posts. Just the joy and love that came from you, your family and friends made her so beautiful and sweet before we saw her face. I'm so incredibly sorry they don't acknowledge the life these precious babies had. Thank you for sharing with us as you move through all this. We do pray you have comfort and strength.